So, you’ve got an attractive and fully-functional WordPress website. But, the big question here is “How do you get people to notice it or How you do business through it? The simple answer is with the help of WordPress SEO Services. WordPress, the world’s No. 1 content management system (CMS), is used by many businesses globally for their websites, eCommerce sites, and blogs. WordPress is easy to use like editing, changing and adding to content, but SEO for WordPress can be a challenging job. This is because a simple coding error can lock up your site, and conflicting plugins can cause it to crash, and your security can easily be compromised as well. So, let handle this complicated job to us. We have successfully performed SEO for many WordPress websites and our SEO professionals and WordPress designers/developers are ready to help with your project. 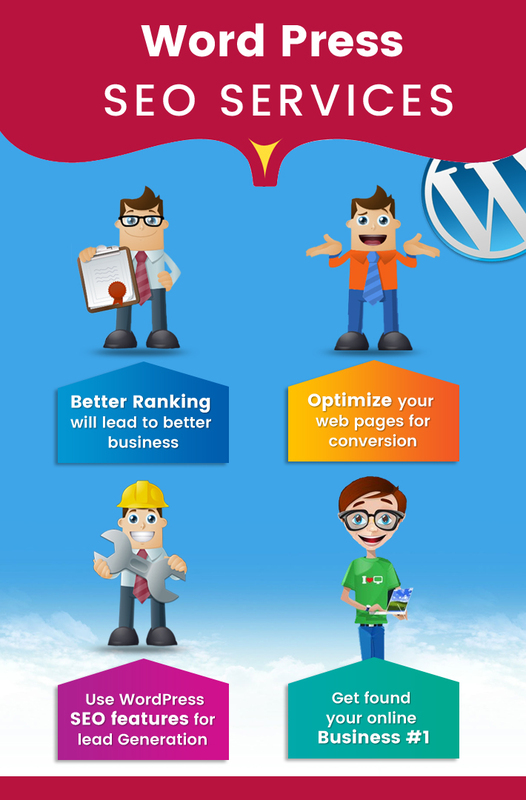 Our WordPress SEO experts optimize your website for targeted keywords and help your site to grow ranking and traffic. They will also let you reach out to more and more people and expanding your business, increasing your client base and doubling the overall sales and profit of your business. We know that good quality SEO is the backbone of any Online marketing strategy. Therefore, our SEO services are designed and customized to add value to your business website. We, at Outshine Solutions, use cutting-edge technologies, latest plugins & features to increase the traffic of your WordPress website. A clear-cut understanding of WordPress websites optimization has stand Outshine Solutions at priority. We are providing very affordable WordPress SEO packages to all kind of Businesses and organizations and flexible with our SEO packages with every size of businesses. When it comes to our client website’s progress, we believe in maintaining absolute transparency with our clients. We provide you timely reports so that you can know what SEO activities we are doing for your site. Our track record for delivering quality SEO services is the reason why more and more businesses both domestic and overseas are outsourcing WordPress SEO to Outshine Solutions.